This is the flyer design we created for the Bulgarian Aircraft Owners and Pilots Association (aopa.bg). The flyer is printed as a 4 color print on 300 g matt laminated paper. This is the front side of the flyer. It represents the map of Bulgaria with all airports mapped across it. The design also includes a legend which helps to differentiate between the International and Certified air- and heliports. Just in case, if one is unfamiliar with the boundaries of Bulgaria – the national flag is positioned in the upper left part of the flyer, with the country name next to it. 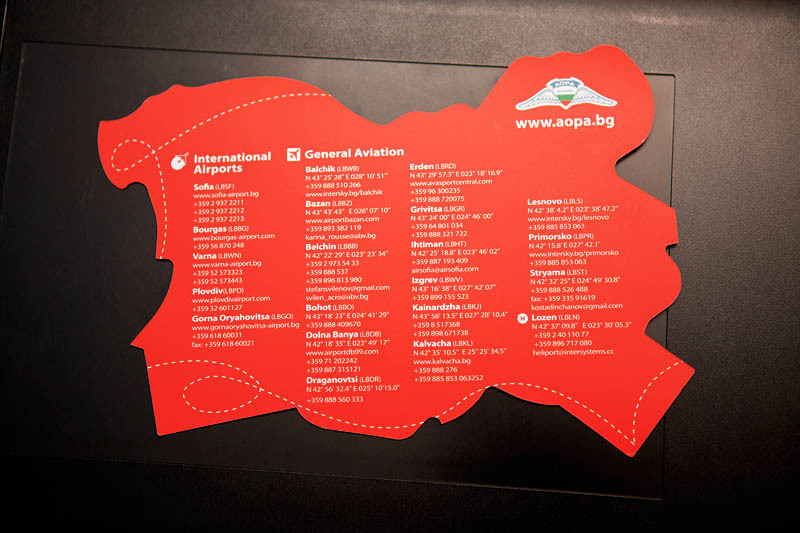 The backside of the flyer design contains a list of all Bulgarian International and General Aviation airports. The die line is a rough outlining of the Bulgarian map. The web address of the association is also noticeable in the lower right corner of the front side and the upper right corner of the backside.